The airport of Auburn-Lewiston isn't exactly easy to find, it is quite unsatisfactorily signposted, but with some directions we got there. 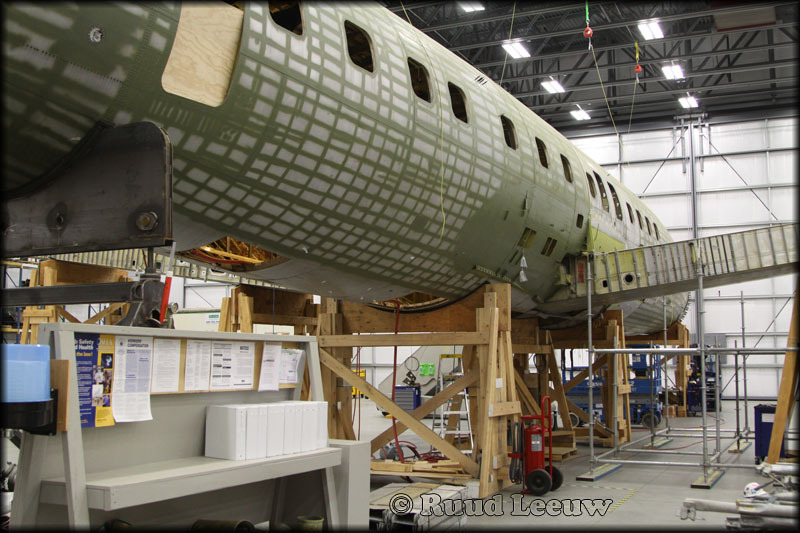 The reason for my visit was to see what progress had been made concerning Lufthansa's Starliner Project. 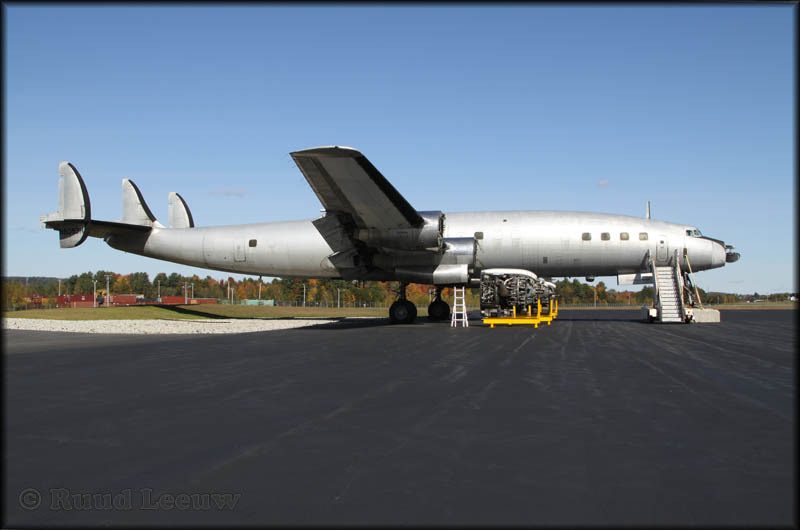 The intention is to restore a Lockheed L.1649A Starliner to airworthy condition, after having acquired 3 of the type at a bankruptcy auction in the USA on 18Dec07. Two of the aircraft, registered N7316C and N8083H, were originally delivered to Trans World Airlines (TWA) in 1957-58 and were stored at Auburn-Lewiston Airport in Maine. The third, N974R, was put into service with Lufthansa as a 'Super Star' in 1957 and is currently on display at the Fantasy of Flight Museum in Polk City, Florida. 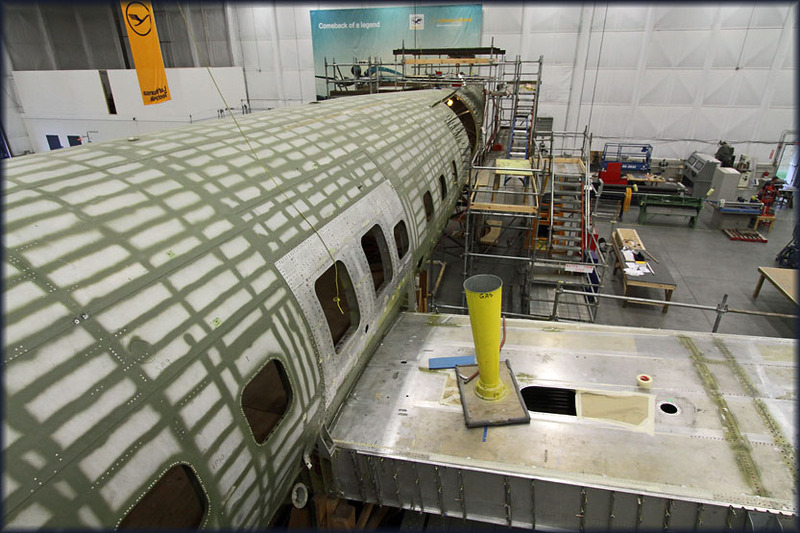 N7316C has been hand-picked to be made airworthy, using parts of N8083H and N974R (many parts will have to be newly manufactured). 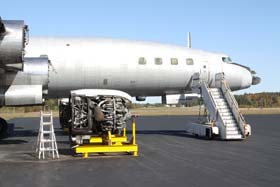 After having been retired from service by various operators, the 3 Starliners were acquired in the mid-1980s by aviation enthusiast Maurice Roundy, a manager at Auburn fixed-base operator Silver Wings Aviation. He subsequently embarked on an ambitious project to restore the aircraft. N7316C and N8083H were flown to Auburn, N974R stranded in Florida with technical snags. The latter has actually been flown by Lufthansa as D-ALAN. Roundy’s long-running efforts had mixed results. His ultimate goal was to create an airline, Maine Coast Airways, flying these ultimate propliners. But at some point, after 25 years, Roundy conceded that the time had come to hand the restoration to an organisation with more substantial resources. A sale in 2005 failed and Lufthansa bought all 3 at auction on 18Dec07. The least of what can be said of Mr Roundy's efforts is that he saved these fantastic, classic airliners from the scrapman, he bought them time. It is almost like working from scratch, in fact probably even more difficult than building a new airplane. But when operational, Lufthansa will have a 'looker' and gained huge prestige! 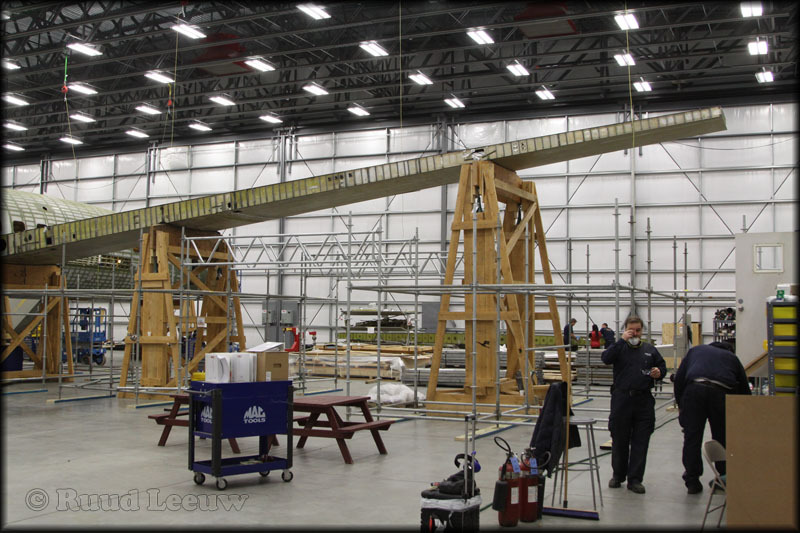 The wingspan is massive, wider than a Boeing 737-800: 150 feet (45m72) versus 112ft 7in (some 34 meters). on 20Nov2008, at which point the restoration could start in earnest. Lufthansa operated 4 Starliners (or 'Super Stars' as the Germans named them): D-ALUB, D-ALAN, D-ALER and D-ALOL in passenger and cargo service from 1958 until 1966 (I read elsewhere 1957 - 1968). The L.1649A's primarily flew on North Atlantic routes and could fly non-stop from Germany to/from North America. L.1649A D-ALOL survives as ZS-DVJ on display in Johannesburg, in the livery of former operator Trek Airways. 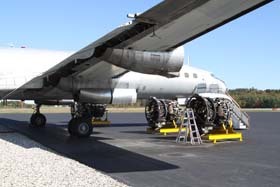 The landing gear assemblies will be overhauled and as one can see on the photos, the aircraft is currently supported by jack stands and specially made cradles. But compare the rigging with the 2011 update further below. The cargodoor will be replaced by a passengerdoor. L.1649A ZS-DVJ (ex/ D-ALOL) has been preserved in Johannesburg and is the only remaining Starliner which was not converted to cargo configuration. The South African owners have allowed Lufthansa to produce replica passenger doors, which will be fitted to ZS-DVJ, while Lufthansa will receive the doors of ZS-DVJ to fit them on N7316C once they are inspected, repaired and approved to be installed. Initially it was said that volunteers from maintenance division Lufthansa Technik would work on the Starliners here in the USA, but this plan has been abandoned. Progress by using (former) employees on a voluntary basis would probably see an erratic progress, due to varying number of volunteers willing/able to join this project. 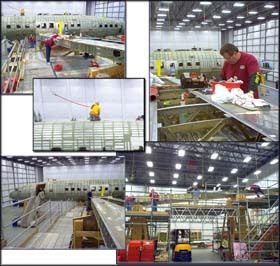 BizJet from Tulsa,Oklahoma is a Lufthansa subsidiary and has been contracted to do most of the work here. 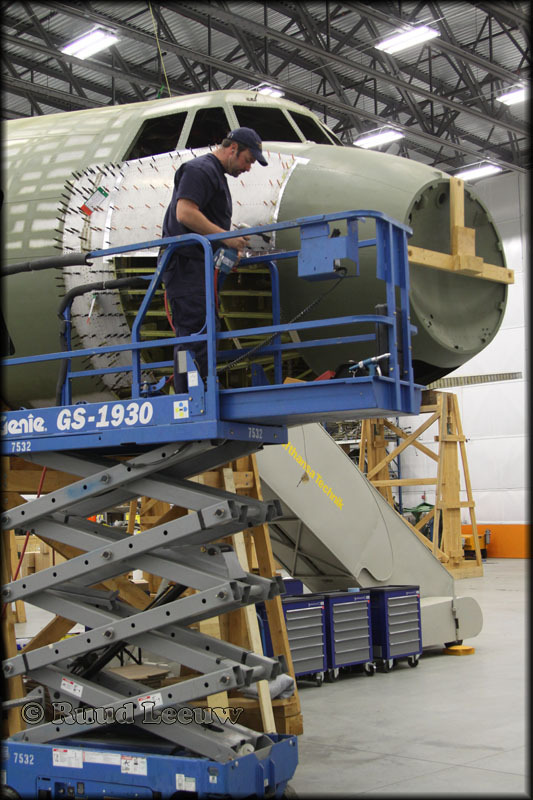 BizJet International is the maintenance, repair, overhaul (MRO) and fixed base operator (FBO) arm of Lufthansa Technik in the USA for VIP and business aircraft, their operators and their users. 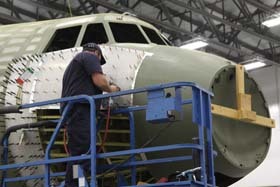 Founded in 1986 in Tulsa, Oklahoma, where its premises today extend over an area of 85,000 square meters, the company offers its customers a wide range of services, from aircraft and engine maintenance, overhaul and repair to avionics services, cabin design, refueling and the use of a comfortable pilot lounge. 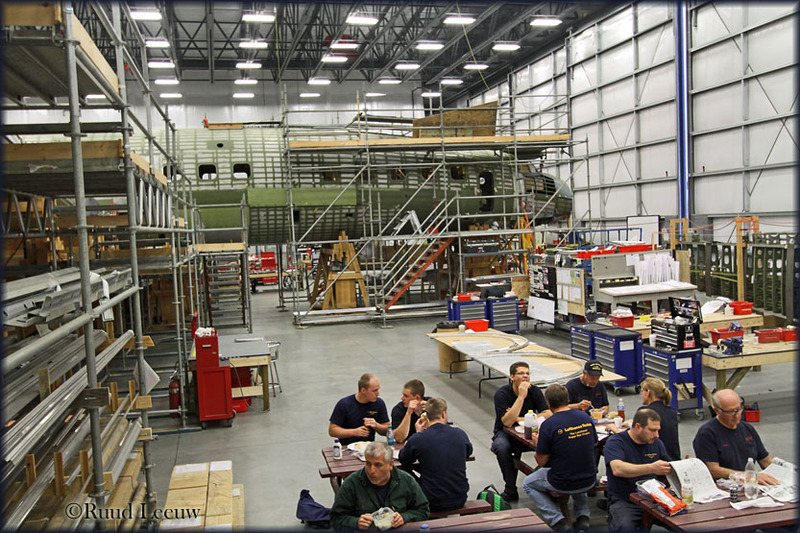 Since 2000, this specialist provider, which has a workforce of around 200, has been a fully-owned subsidiary of Lufthansa Technik. 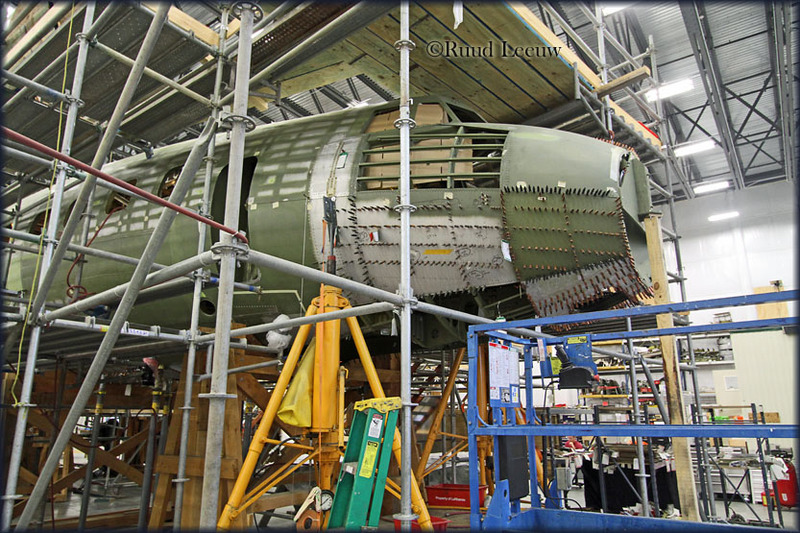 N7316C (c/n 1018) has been stripped of all removable components, everything that could be removed has been removed for inspection, evaluation and refurbishment. The cockpit has been cleaned out in the same manner. 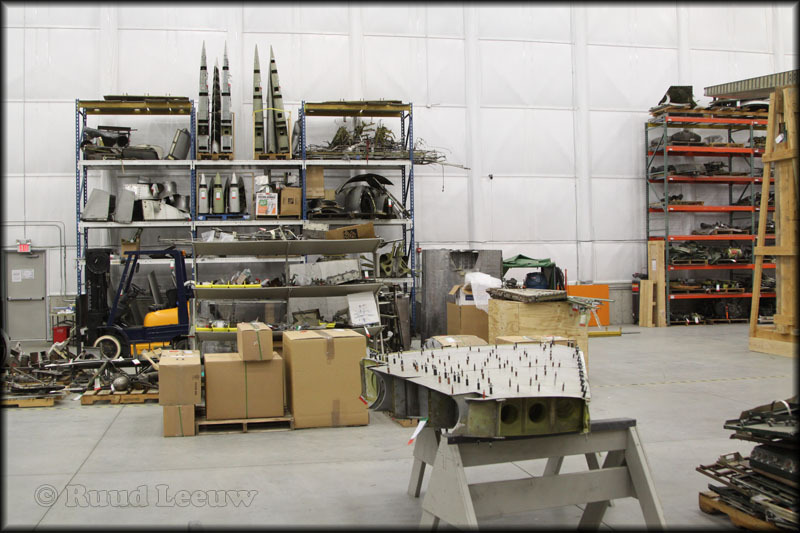 Many structural components have been shipped to Tulsa,OK for inspection and refurbishment by Lufthansa's subsidiary BizJet once all approvals are granted. 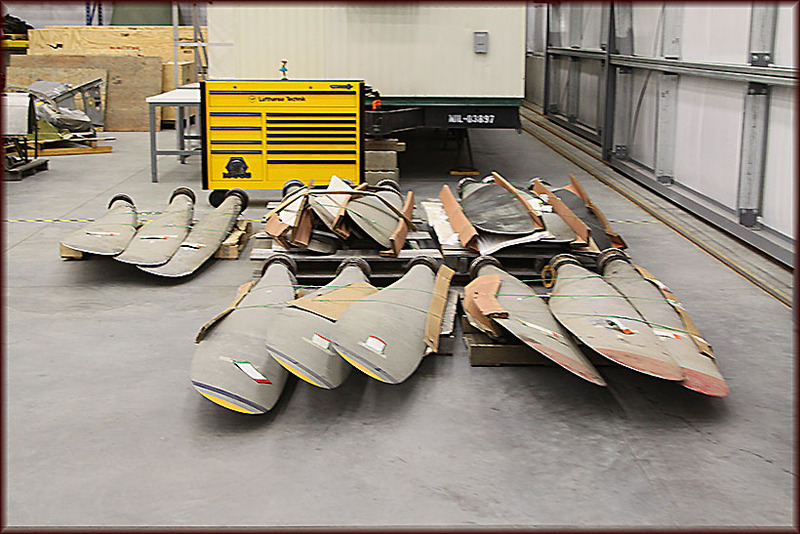 The multitude of parts removed from the 3 aircraft, plus the parts collected by Maurice Roundy over the years, have been evaluated, cleaned, catalogued, inventoried and stored for further disposition. The logistics of this project is immense, but in Lufthansa's capable hands. Michael Austermeier is Lufthansa's resident project manager in Auburn and in constant liaison with the FAA and Lufthansa headquarters in Germany. 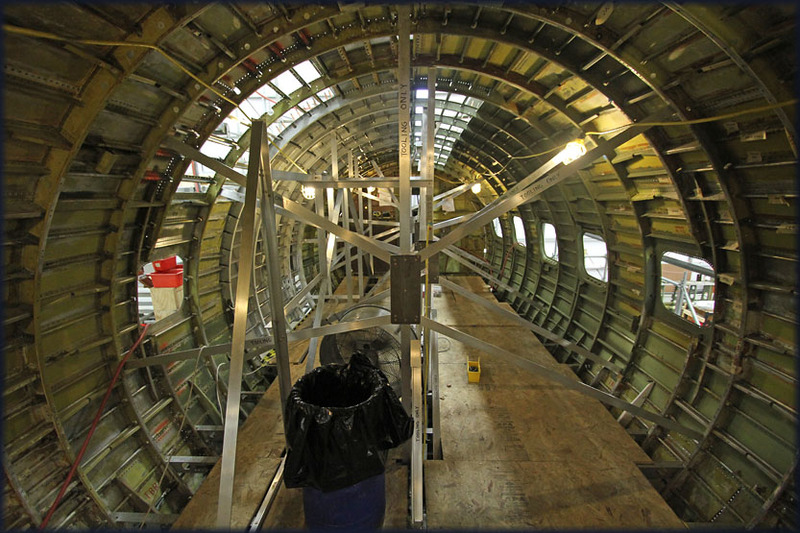 A huge amount of work will need to be done before passengers will look for their seats again in this cabin! 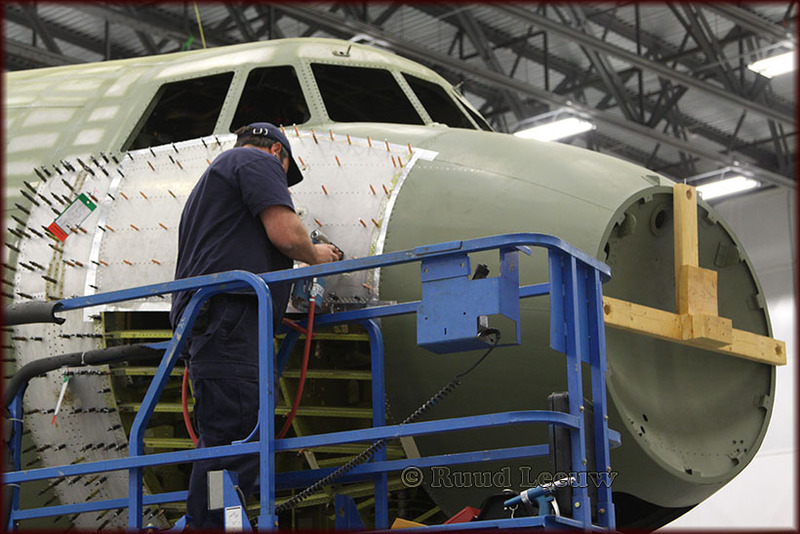 N7316C will be painted at the facilities of Lufthansa Technik in Hamburg,Germany. 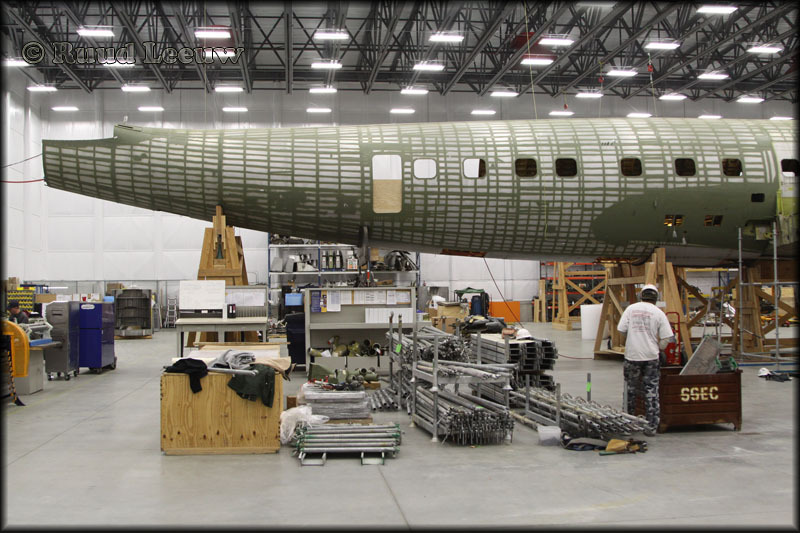 Due to the massive 150 feet wingspan of this L.1649A, the plan to have it painted at BizJet's facilities in Tulsa,OK had to be abandoned: it just wouldn't fit! A lot of work needs to be done before it will take to the air again, but when it does, it will be a sensation wherever it will fly and grace the skies! Ralph Pettersen wrote a detailed and highly informative article about these Starliners and this project, published in Propliner magazine No.120 ('Autumn 2009'). Six Wright R-3350 Turbo-Compund engines have been sent to Ray Anderson Airmotive in Idaho for overhaul. N8083H (c/n 1038) saw parts removed for possible use in this restoration project and is also used as a reference for the engineers, for when they need to have a look of how things should look like. The ultimate fate of this aircraft is as yet undecided, while former D-ALAN (N974R, c/n 1040) should remain preserved at Kermit Weeks's Fantasy of Flight in Florida, externally as complete as possible. Ownership of N974R will be transferred to the museum. In Sep.2018 I came across a post on Facebook, showing N8083H resprayed in TWA colours, awaiting disassembly and transport to New York's JFK airport, destined to become a decoration in a new terminal. 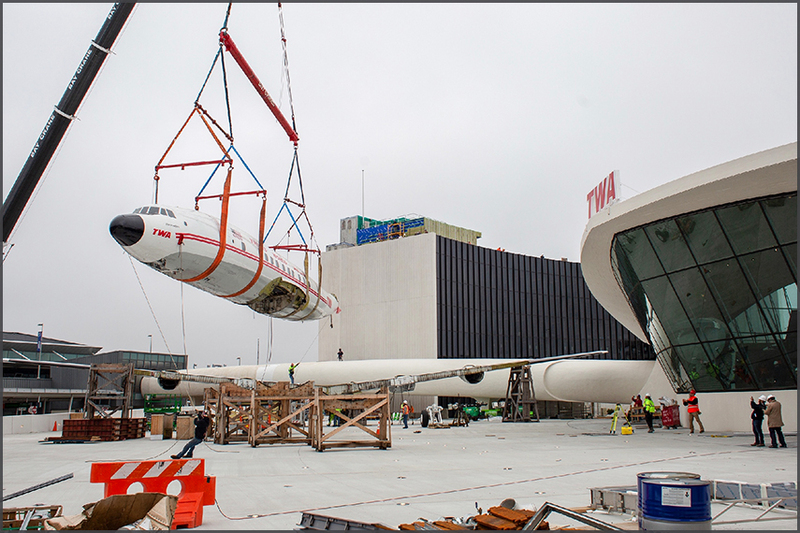 Carlos Gomez and Roger Jarman worked on the assembly and restoration of N8083H, before the transport and installation as a deluxe lounge in TWA Hotel, Terminal 5 of JFK Int'l Airport during mid-Oct.2018. This photo was forwarded to me 10Apr2019, 'A TWA Connie arrived back in front of the TWA Terminal at Idlewild today. 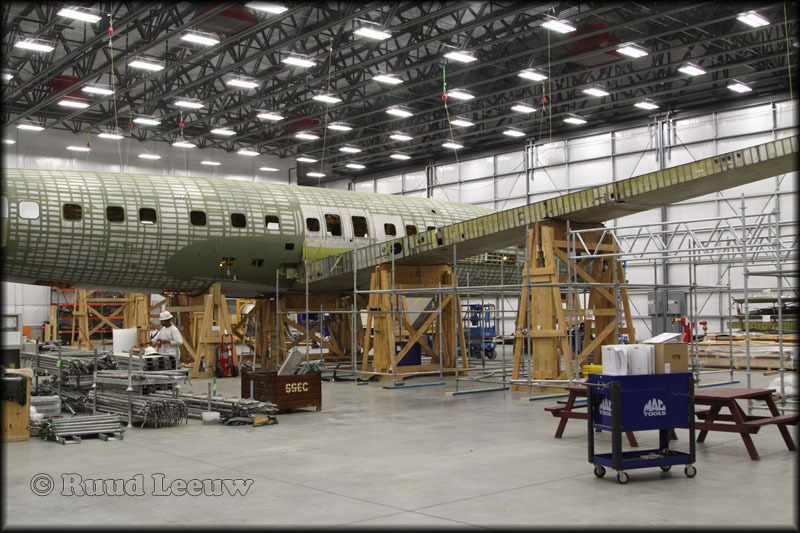 Been a long, long time...' Such a pity these online sources quote the same misnomer: this is not a Lockheed Constellation but a Lockheed L-1649A Starliner, a further development of the Lockheed Constellation. 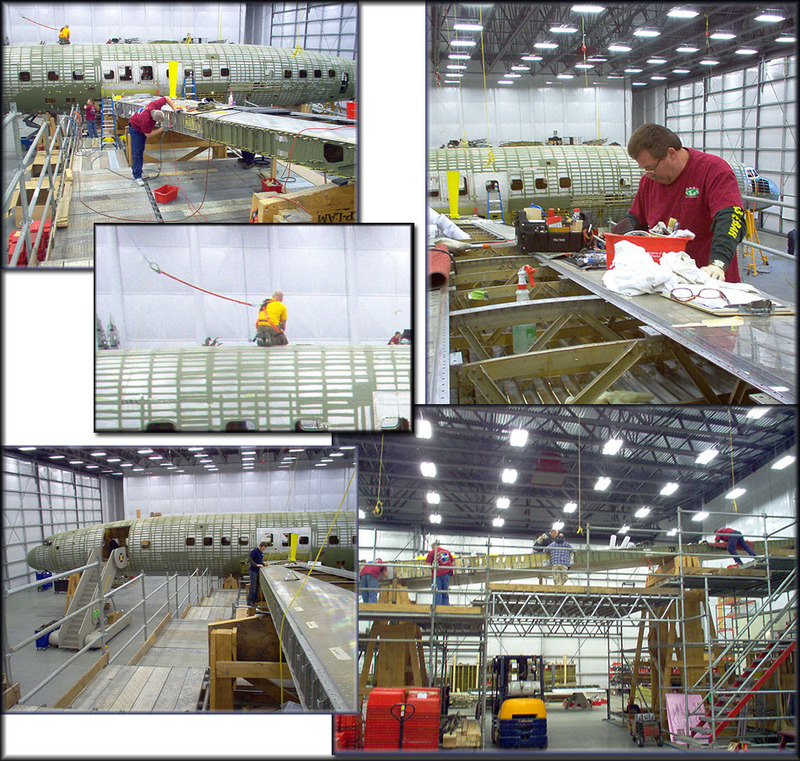 Not long after my visit to the Lufthansa restoration project of the Lockheed Starliner, in Auburn (Maine,USA) I received these photos showing the scaffolding (and other safety measures) put in place around the aircraft. In spite of his busy daily schedule, Director of Operations Michael Austermeier, involved here from the start of this project, walked me through the progress of this fascinating project once more. As with the previous visit we agreed to have my webpage screened by Lufthansa Media, but in spite of sending reminders I received no reaction. But after 5 months since my visit I decided not to await Lufthansa's permission further and publish my update, albeit without comments (and praise!). The comments can perhaps be added when communications are restored. 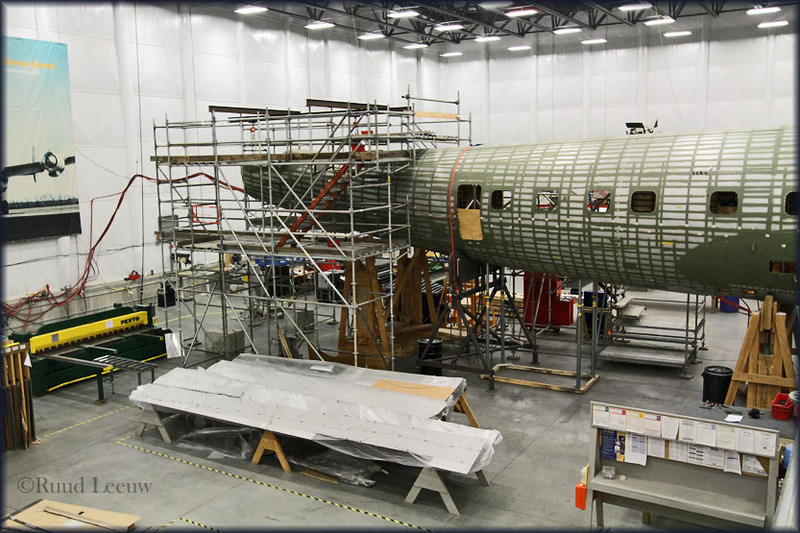 UPDATE (may 2014): A first test flight is expected by end-2014 and first service in 2015. It will have 32 seats. 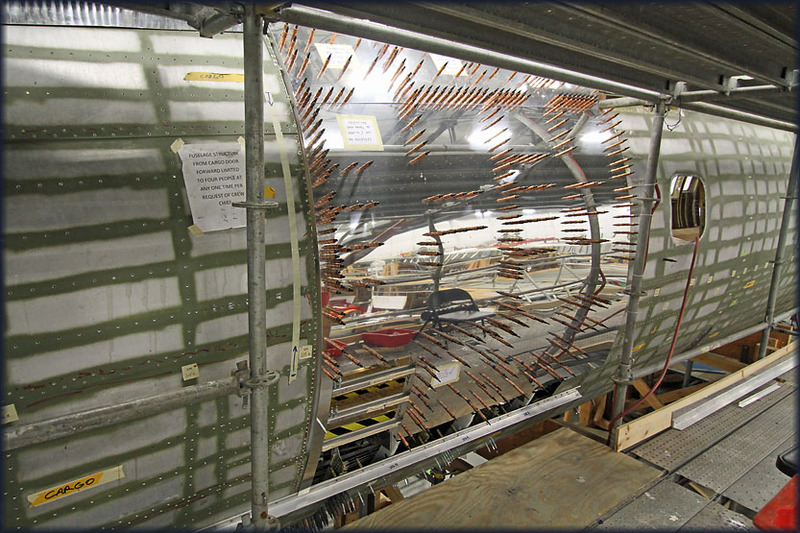 iN March 2016 I found that latest info, dating from Nov.2015, concerning wing-to-body fittings complicated the restoration and I felt it put the redelivery date further back (Lufthansa refrains from published such a date for obvious reasons). When I inquired for more info among aviation enthusiasts, I found Lufthansa has established a dedicated page on their Starliner: http://superstar.lufthansa.com/de/home.html "Super*Star, the rebirth of a Legend". Thanks to Michael Austermeier of Lufthansa for allowing me these visits! And good luck to Lufthansa on this gloriously inspiring project! 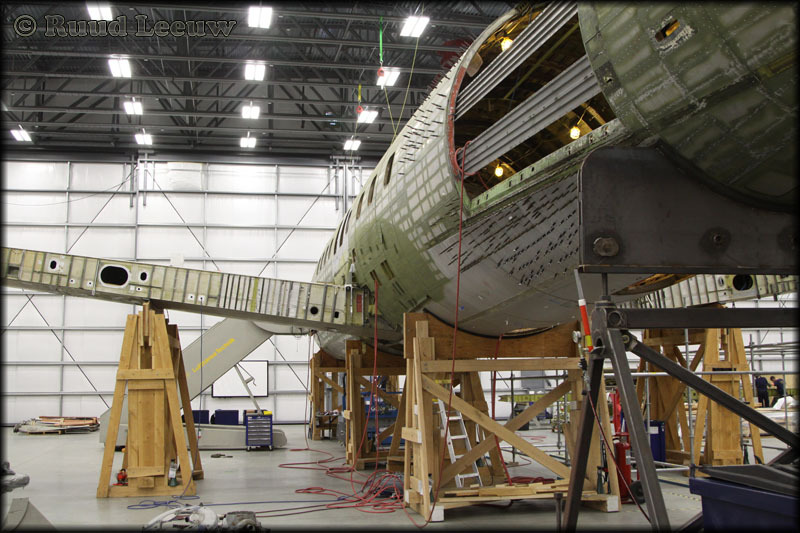 A Lockheed Super Star Constellation, one of only 44 ever built, is expected to roll out of a hangar in Auburn, Maine sometime this year, after a seven-year restoration effort, the Boston Globe reported this week. The airplane, built in 1957, was bought at auction in December 2007 by a non-profit arm of the Lufthansa airline and reportedly up to $60 million so far has been spent on the project. The airline intends to fly the finished airplane to Europe, where it will be used for "very special flight experiences for passengers, comparable to those in the golden days of aviation," a spokesman told the Globe. "They are going all out on this," said Ray Anderson, owner of Anderson Airmotive in Idaho, which is overhauling the engines. "There's never been anything like it and probably never will be anything like it." The airplane, known as The Star of Tigris, was built for TWA, according to www.conniesurvivors.com. 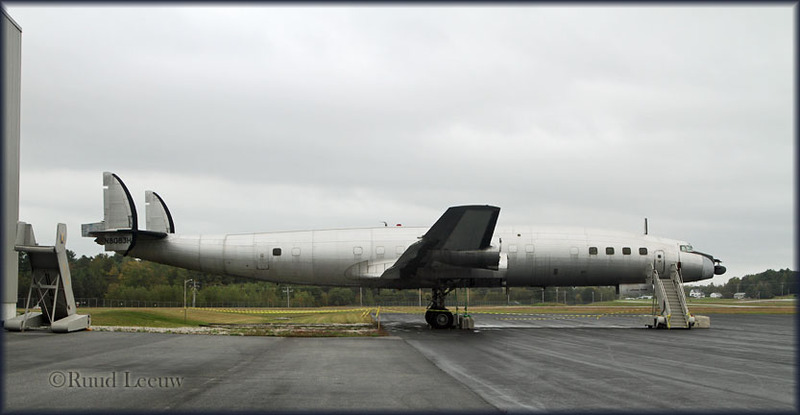 It was later converted to a freighter and flew for Alaska Airlines, then changed hands several times before it was abandoned at Stewart Airport in New York in 1976. 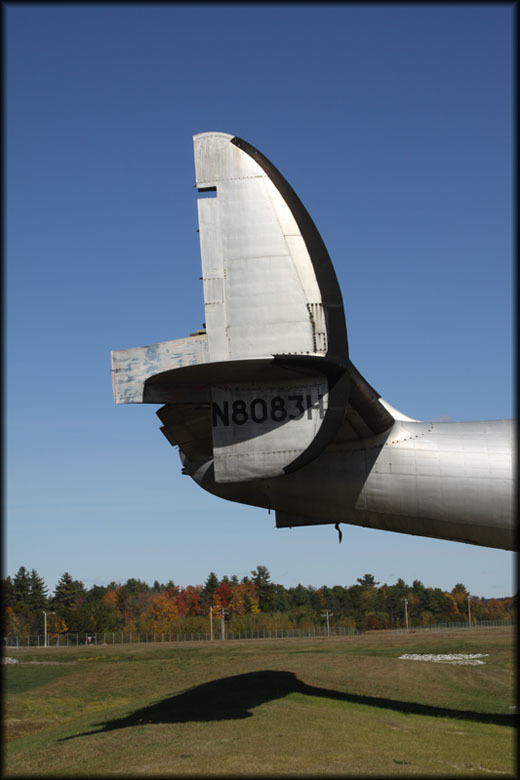 Maine Coast Airways bought the airplane and flew it to Auburn-Lewiston Airport in 1983. Restoration efforts continued at a slow pace until the airplane, along with two others used for parts, was sold to Lufthansa for $745,000. The new owners built a 50,000-square-foot hangar at Auburn for the restoration, at a cost of $3 million. 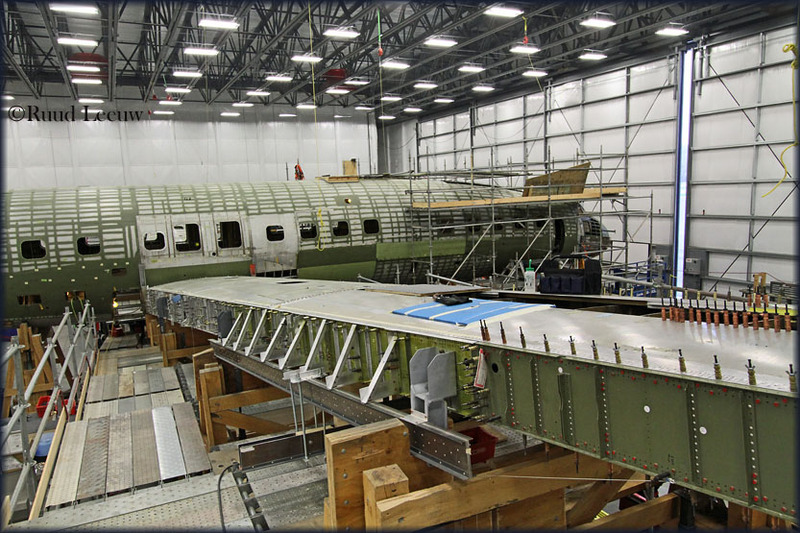 About 95 percent of the fuselage skin has been replaced, according to the Globe, and 120 workers are dedicated to the project, working seven days a week. The owners disputed the Globe's estimate of $60 million spent, but declined to provide an accurate figure. More than 800 Constellations in total were built before the airlines made the switch to jets. The Super Star Constellation, also known as the "Starliner," which entered service in 1951, was "a plane ahead of its time," according to Lockheed Martin. It featured air conditioning and reclining seats and was twice as fuel-efficient as the early passenger jets. At least two others are still flying (one in Switzerland and one in Australia) and several other restoration projects are under way. The last Constellation was built in 1959. It looked like 2015 could have been the year of a first flight after restoration, but this was not to be. 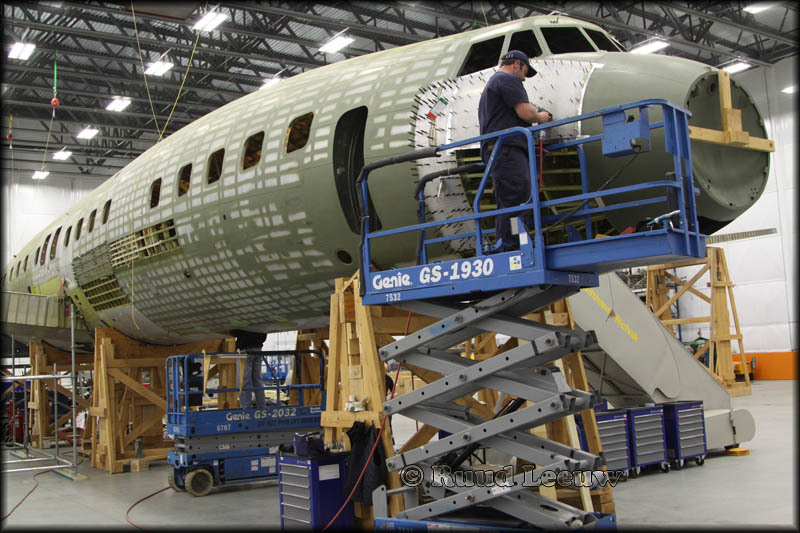 Unforeseen problems (slow delivery of parts from subcontractors and a significant design change involving fuselage mainframes) resulted in a reduction of the resident workforce by 50%. 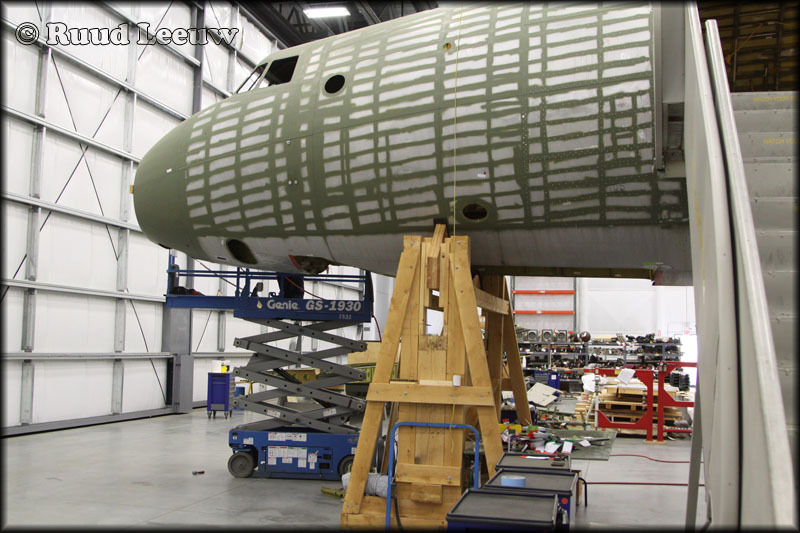 Though this project is now entering its 9th year, it appears that Lufthansa is still fully committed to complete the restoration of Starliner N7316C. Will 2016 see it go airborne ... ? Stay tuned! "Bernhard Conrad, a retired chief technology officer at Lufthansa, heard about a bankruptcy auction at which the deteriorating airliner, as well as two other Starliners, would be put up for sale. Conrad is the chairman of the Deutsche Lufthansa Berlin Foundation, which is flying or restoring five other examples of vintage airliner types that were once part of the Lufthansa fleet, including a Junkers Ju 52. "We didn't have anything in our fleet that represents the early era after World War II," says Conrad. "And Lufthansa was interested because the Starliner was the airplane that established our first nonstop international service." Conrad wanted to bid on all three Starliners, with the goal of restoring one to airworthiness and using the remaining two for parts. In December 2007, he and his attorney traveled from Germany to Maine and put down $745,000, winning the three aircraft. In June 1957, Lockheed delivered 'Star of Tigris', registered as N7316C, to TWA. The aircraft flew its last passenger flight for TWA on 09Sep1960. Tigris was then converted to a cargo transport, and six weeks later it returned to service at TWA as a freighter. Lockheed had stopped manufacturing Starliners two years earlier. 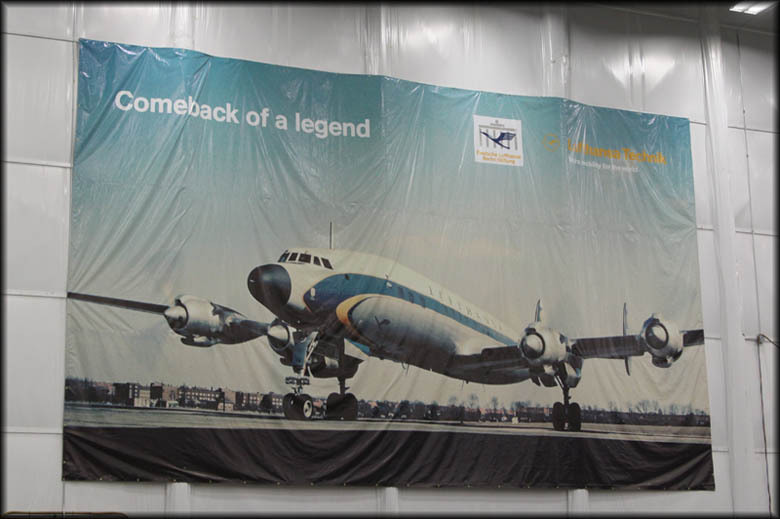 N7316C will be restored as a passenger carrier, modeled after the Starliners Lufthansa operated in the 1950s. 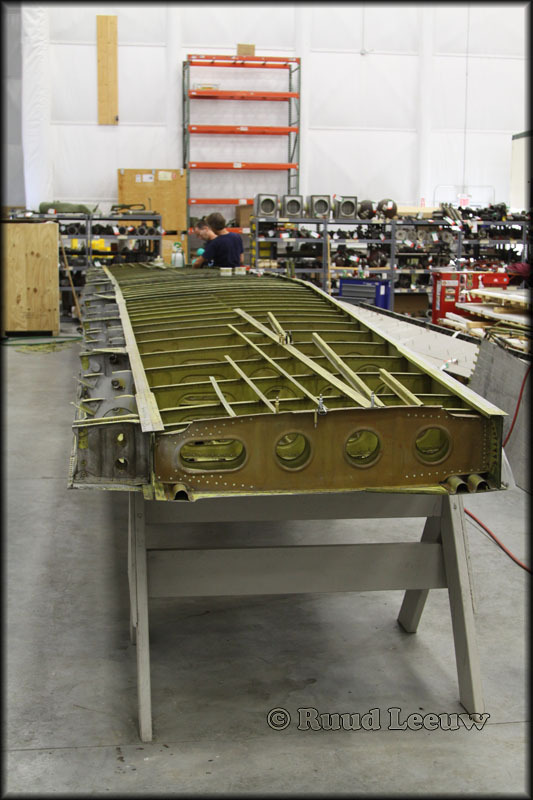 The restoration crew began by taking the airframe apart and inspecting each piece. "You find a lot of things that need to be overhauled," says Pakszies. "A lot of metal is corroded, and some companies can provide old parts, but you can't buy everything. We manufactured a lot of things new from the old drawings." Part of the nose landing gear was salvageable, but the original magnesium wheels were no longer available. 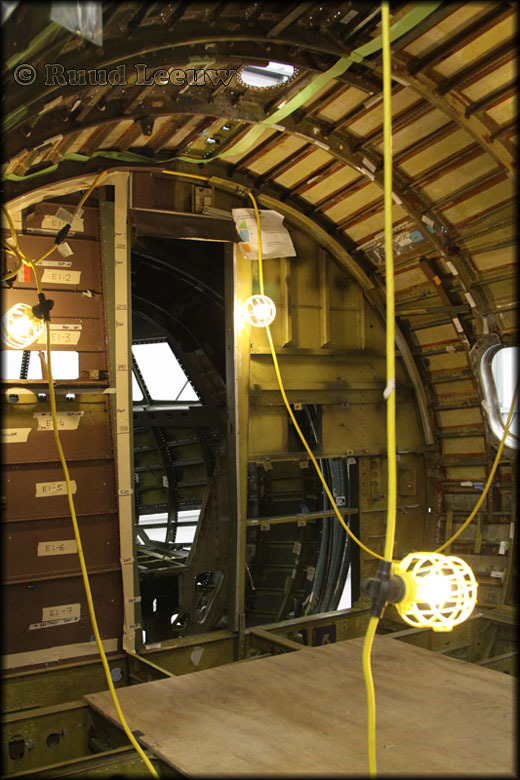 The restoration crew soon discovered that wheels from a modern Airbus A320 work famously. The cockpit instrument panel also needed to be replaced because the original one couldn't accommodate all of the instruments now required. The seats, 44 of them, are the same ones used on the Airbus A300, but they have been refurbished and reshaped to fit into a Starliner cabin. New airliners also require inflatable slides that can sprout from emergency exits (instead of the Constellation's original rope escape system). 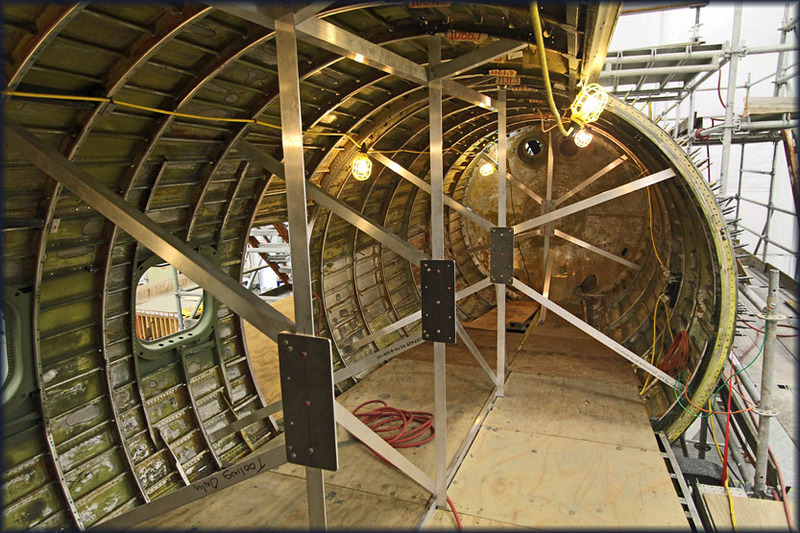 One emergency slide is hidden under the airliner's rear bar countertop. The outlook in 2016 is that another year and a half will be needed. 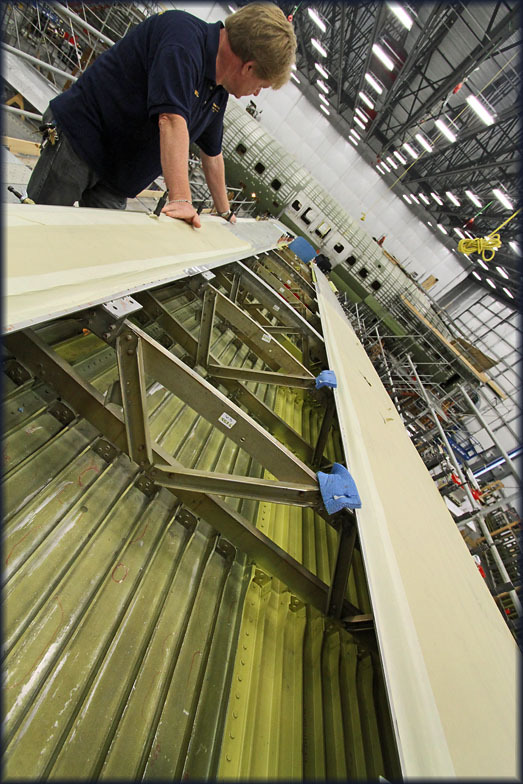 About 95 percent of all the structural elements on the fuselage, the wings, the horizontal stabilizer-it is all new. The majority by hand! 'The Star of Tigris' is expected to be ready for test flights by the end of 2017 and for paying passengers in early 2018. The airplane will be fully certified to the transport aircraft category, it is not limited by an experimental certification." 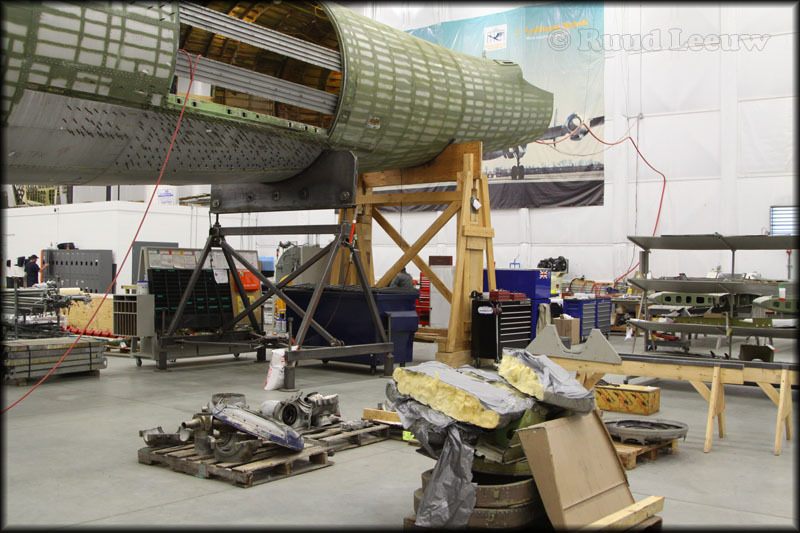 "... Also, the C-130J program and P-3 program have also assisted the Starliner restoration. When Lufthansa needed a main landing gear component redesigned, Lockheed Martin engineers from those programs, were able to model the new part, analyze the structural requirements, and provide the computer model to the manufacturer to fabricate the part. This high level of technical competence allowed Lufthansa to get the engineering change approved through the FAA with minimal project impact. 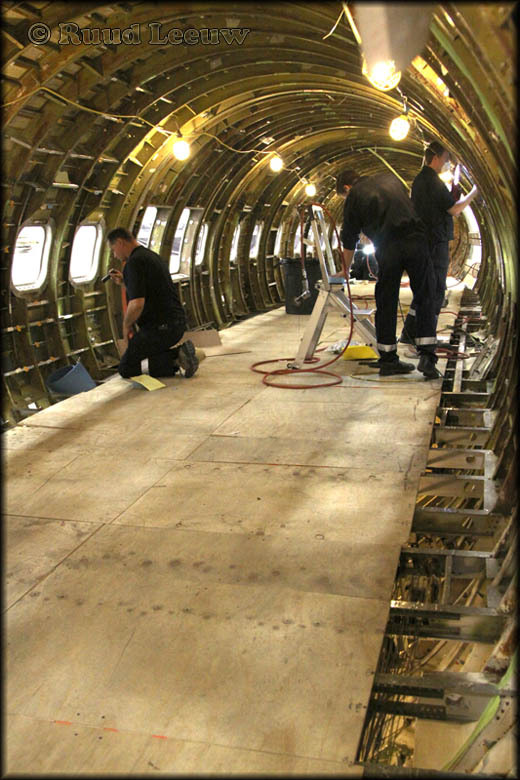 The Lufthansa Super Star restoration is a huge project – to the level of removing the cargo doors and reinstalling passenger doors, examining every fastener and rivet, and installing a modern cockpit – still has obstacles to overcome on the long journey back into the air. 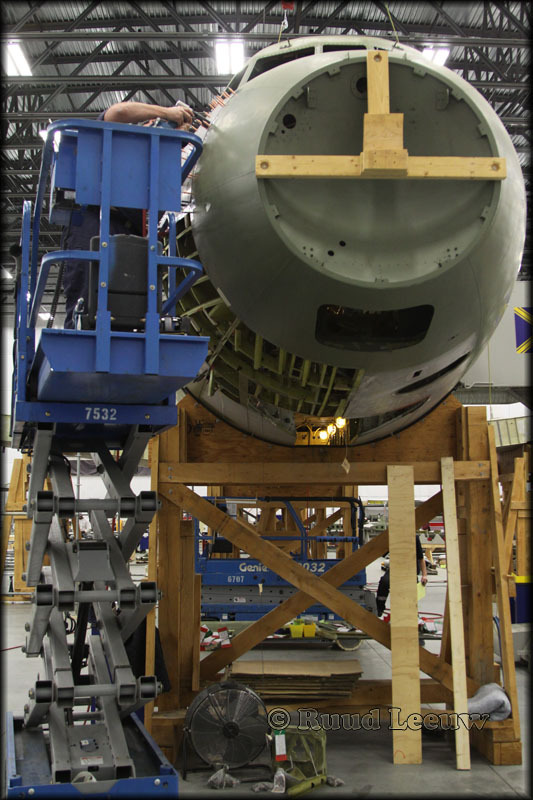 But the aircraft is now coming together and this classic beauty will soon fly again." 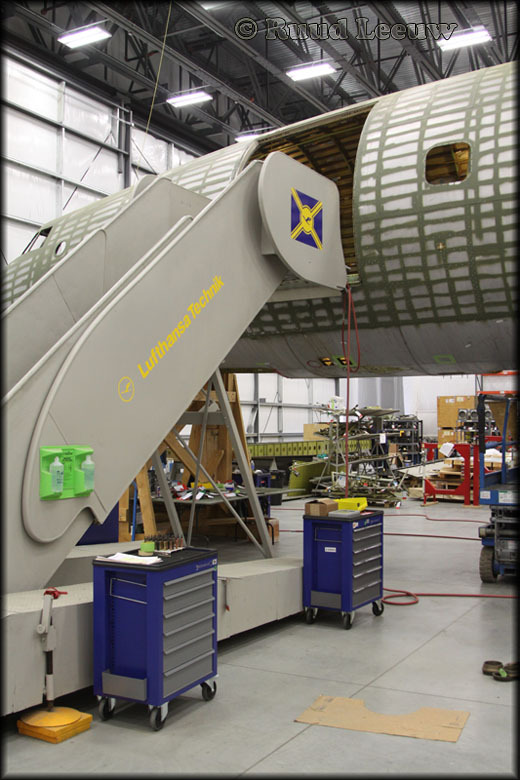 Keep track of Lufthansa's Starliner restoration, which is hopefully nearing its completion; below is a 2017 update. The delays in completing the Lufthansa Starliner must have driven DLH's management to distraction and now there is another setback! 14Aug2017. 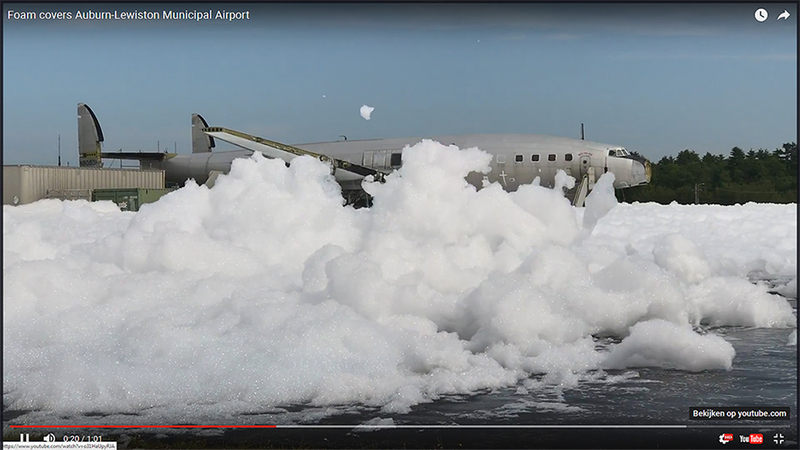 "Fire-suppression error sends foam pouring out of Auburn-Lewiston Municipal Airport hangar...!" As of 2017, the Starliner project was about 85% complete. Itwas expected to fly again by end-2018 or early-2019 (but this 'first flight after restoration' has been delayed many time). 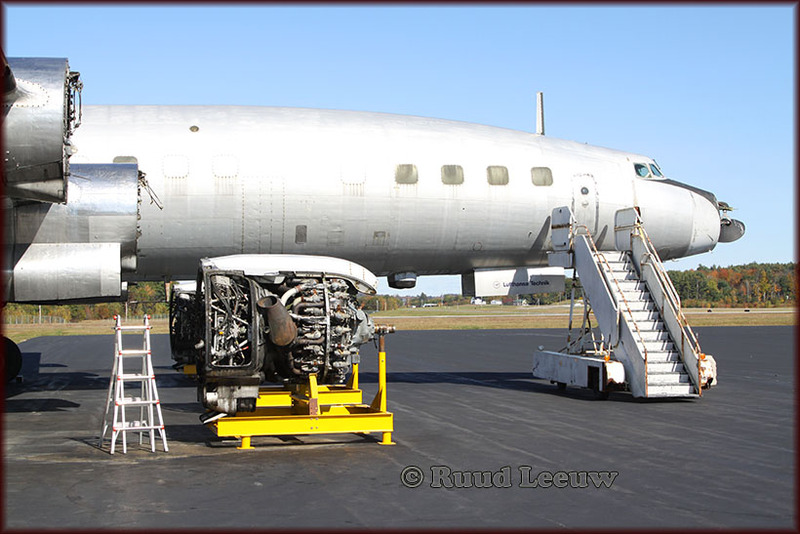 When completed it would be the only surviving example of the Lockheed L-1649 Super Constellation in existence. Lufthansa Technik wants to separate the wings from the fuselage, box up all of the parts and ship everything to Germany. This is probably sound economics, to continue the restoration in Germany, as that facility must be costly. 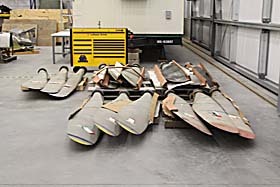 But the wings have to be disassembled again and there is fear that the fuselage will not stand the structural forces of transport and end the restoration to airworthiness. After all the money and effort Lufthansa has sunk into this project, that would be so disappointing. leehamnews.com/2018/06/04/pontifications-lufthansa-is-sabotaging-history/ ¬June 4, 2018, © Leeham News; by Scott Hamilton. 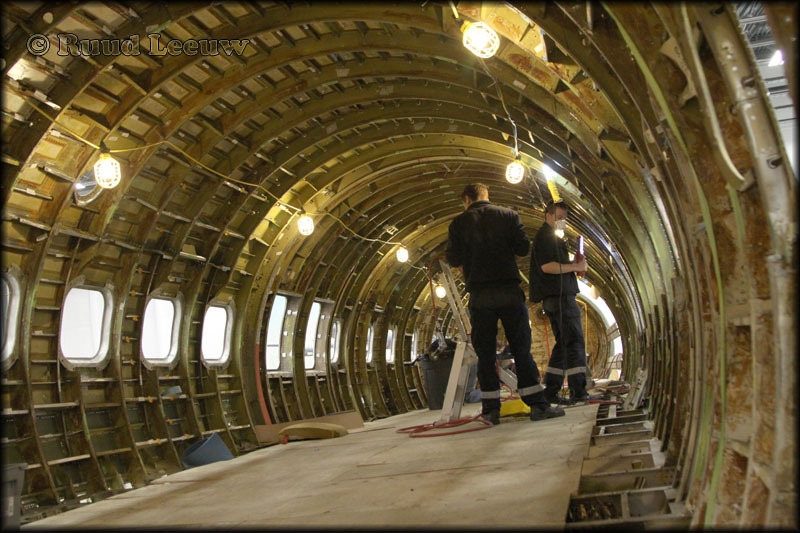 'Lufthansa Airlines is sabotaging history and its own airplane restoration project. Lufthansa is pulling the plug. In Scramble magazine (Feb.2019) I read: "By spring 2019 Starliner N7316C is expected to travel across the Atlantic onboard of a Antonov transport plane. 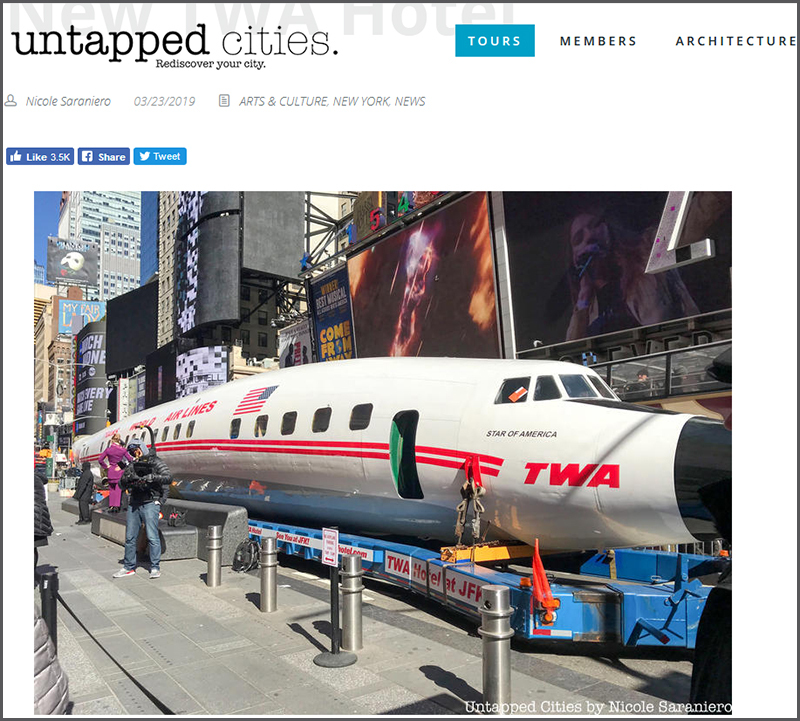 Most likely scenario now, will see the Starliner being preserved somewhere around Lufthansa property at Frankfurt Airport." The end of a dream.. In Dec.2018 news went round that the FAA's decision not to certify the Electronic Flight Instrument System (EFIS) modifications in the Starliner's cockpit was crucial in abandoning the restoration at Auburn! Plse include the link (url).